Education includes a Master in Public Policy Analysis and Bachelors Degree, both from The University of Rochester, as well as being a Certified Financial Planner since 1987. He was past President of the local chapter of the Financial Planners Association and has lectured at numerous schools and colleges on Financial Planning topics. 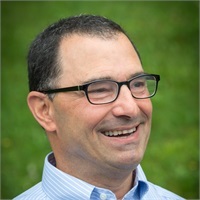 He serves on a number of boards and foundations including the United Way of Southern Chautauqua County, Rotary Club of Brookline, MA, and Jamestown Community College Foundation. He has been named a Paul Harris Fellow twice with Rotary International. He served as Assistant Treasurer for WCA Hospital for many years as well as the YMCA of Jamestown, In 1994 he was a graduate of the Chautauqua Leadership Network.